With a vast array of things to see in Cornwall it can often be difficult to know where to start when planning your days out. Here you’ll find many of the natural attractions Cornwall has to offer, ranging from beautiful beaches to the rugged moor. 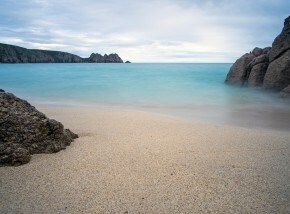 Situated between two rugged headlands Porthcurno is a sheltered beach in Cornwall, ideal for families.